Pack your baggage and join this exciting 10 -day safari holiday in Tanzania! 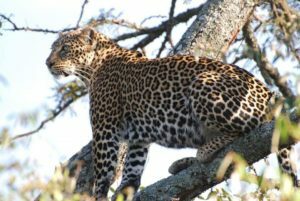 During this safari, you will go on extensive game drives in Tarangire National Park, Serengeti National Park, Ngorongoro Crater and Lake Manyara national Park; you will have the opportunity to spot wildlife in their natural habitat and explore the magnificent Tanzanian national parks as well as relaxing and enjoying natural hot pool in Kikukuletwa hot springs. In the morning after breakfast, we will drive to Arusha National Park for a full day game drive and some hiking activities in the park. 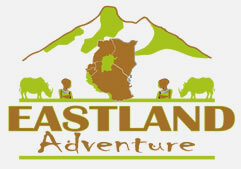 In the evening we will drive back to Arusha for dinner and an overnight stay at a campsite. After breakfast, we will have a half game drive in Tarangire NP and in the afternoon we will travel towards Serengeti NP. The stretch of road towards the park’s gates offers a fantastic opportunity to see animals in their natural habitat, often during migration including wildebeests, zebras, impalas and lions. 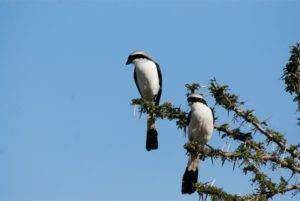 We will conduct evening game drive before drive to your lodge/campsite. Today you will enjoy a full day game drive at the famous Serengeti National Park in the rolling grasslands, dotted with wildlife for as far as the eye can see from giraffes, to zebras, impalas, monkeys and hippos. We will commence our journey in the early morning where we can capture an abundance of animals at sunrise. In the evening we drive back to your lodge/campsite for dinner and overnight. For those who have booked for hot air Balloon safaris today you we will picked up from the lodge/camp at 5:00am for 6:00am departures. After your 90 minutes aerial adventure bush breakfast and champagne, you will continue with a short game drive back to your lodge/camp for brunch, pack your stuff and drive you to Ngorongoro crater rim for dinner and overnight. Today after breakfast we will drive descending to Ngorongoro crater often referred to as wonder of world. You will do a game drive break for picnic lunch and late evening ascend from crater and drive to your lodge/camp in Karatu for dinner and overnight. Your safari really begins as we start early morning from your lodge/camp, our pleasant drive westwards to Lake Manyara National Park. You will explore the stunning landscape of the park, looking for wildlife on the plains, in the acacia woodlands and by the shores of the shallow alkaline lake. Lake Manyara is rightly famous for its tree-climbing lions, but they’re far from the only highlight: by the end of an exhilarating afternoon, you could easily have spotted elephant, hippo, wildebeest, buffalo and giraffe, plus many other species. Pink-hued flamingos, one of 400 bird species recorded here, provide a splash of colour. You will enjoy your local lunch followed by introduction to northern Tanzanian culture by taking a visit to fascinating Mto wa Mbu village. Incredibly, this ‘village’ is actually home to over eighteen thousand inhabitants, drawn from 120 different tribes. Today is a superb opportunity to find out about their everyday lives, visiting their farms, huts, artisan shops and the local market, with good taking care of your safaris expert and sharing detailed knowledge of tribal culture. After all activities we will drive to your hotel in Moshi for some relaxation and a delicious dinner.